At Meadgate Primary School we place great emphasis on e-safety and keeping our children safe when they are on-line. We take this very seriously! As well as being most obviously featured in our computing curriculum, it forms part of every interaction we have with technology – which at Meadgate is extensive. Our curriculum includes regular sessions and assemblies through which we teach children the necessary tools to become discerning consumers of digital content. We help them understand that their digital activity forms a footprint that follows them throughout their lives and is searchable by others. In school, we try to keep up to date with the rapid pace of change in this digital world, and it isn't easy. There is also a need for awareness outside of school where the access to technology is potentially less structured or filtered. We know that it can be very difficult for parents to be informed of the latest sites and issues that may affect their child when working on-line. With this in mind, through regular updates, digital parenting publications, bulletins and this e-safety page, we hope to point parents to useful sites and important information which will help them keep informed and more importantly understand the risks to children on-line. CEOP is a command of the National Crime Agency and is dedicated to tackling the sexual abuse and exploitation of children and young people. CEOP helps children and young people under the age of 18 who have been forced or manipulated into taking part, or are being pressured to take part, in sexual activity of any kind. This can be both online and offline. The CEOP Safety Centre offers information and advice for children and young people, parents and carers and professionals. You can visit the CEOP Safety Centre and make a report directly to CEOP by clicking the Click CEOP button above. Online bullying or other online concerns should not be reported to CEOP and children and young people should be directed to speak to an adult they trust and /or referred to Childline, if they would like to speak to someone about how they are feeling. It can be very difficult for parents to keep up to date with the on-line world, especially at the same speed as the children. As parents ourselves, the staff at school are facing similar challenges. This is made more difficult by the fact that we are the first generation of parents to be dealing with these issues. Our own parents may be the ones we learnt our parenting skills from, but they did not have to deal with such wide ranging on-line issues (especially those of us who are older), so we have no role models to draw our experiences from. 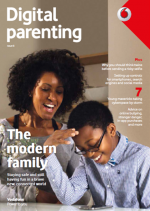 These handy tips from Good Digital Parenting offer some easy to follow ideas for parents who need guidance in understating what their children are engaged in on-line and helping them make healthy on-line choices. We hope you find them useful. Setting up parent controls across multiple devices. We know that Christmas has brought some new and exciting gadgets to some of our children, which makes parents very popular, but also gives new worries around ensuring that our children can use them safely. Having multiple gadgets can add to the stress of dealing with appropriate content, screen time and game related issues. No-one wants to be a party pooper, however for our peace of mind as parents having appropriate controls in place ensuring our children are using the equipment safely, and are protected from unsuitable content, is paramount. It can be a minefield. When there are multiple pieces of equipment involved, where do you start? 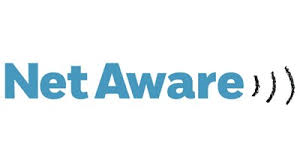 Internet Matters have created a tool which will help you identify the devices in your house and will walk you through the steps to help set up those devices safely. Tik Tok is a global video community which allows users to capture and share funny, or memorable, moments via online video clips. You may know it by its previous name Musical.ly, however, after being taken over, it has had a rebrand and is now one of the most popular apps around. If you child previously had a Musical.ly account it is worth being aware that any video or content that they had attached to that will have been automatically moved to Tik Tok. The app has a rating of 13+ however, with the addition of fun stickers, filters and effects it is easy to see how it can be very appealing to younger children. There are, however, some concerning aspects and we urge you to take a look at those, along with some tips for parents by reading the document below. Tik Tok - What Parents Need To Know. Some of our parents have mentioned Roblox, the popular gaming site, to us. We know that it is always a concern when children are exploring areas on-line that allow them access to other people playing the game and so we hope that this guide, produced by the UK Safer Internet Centre will be useful to you. 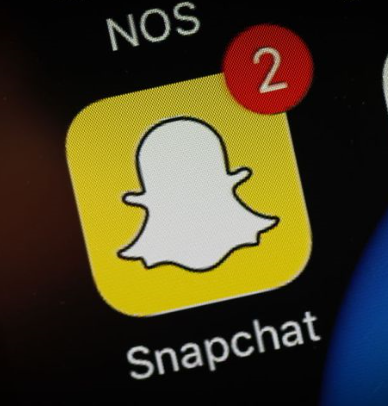 Please have a look at the guide released by Childnet International relating to a new feature launched by Snapchat. We are aware that some of our older children use this app and are keen to ensure that parents are aware of the new content. Click here for all the details. PEGI ratings give a great indication of the content and suitability of computer games and it is always wise to check before allowing your child to play. You can also clearly see the level of violence, bad language, gambling etc. present. Follow the link, by clicking the image below, for more detailed information. 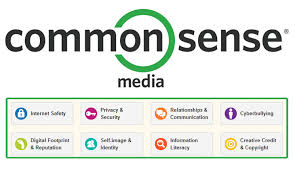 Cybersense is a new app designed to help parents talk about e-safety issues with their children to ensure they make sensible choices about their on-line activities. The app is aimed at children aged between 8 and 10 and covers many aspects of e-safety including cyber bullying and sharing content on-line. Fun quizzes help to make the discussions lighter and time can be earned towards a game which parents and children can play together reinforcing the messages. Setting up controls for smartphones, search engines and social media. Why you should think twice before sending a risky selfie. Advice on online bullying, stranger danger, in-app purchases and lots more. If you are new to our school, or have mislaid your copy, you can read it on-line by clicking the image above. ThinkUKnow is an informative site from the Child Exploitation and Online Protection Centre (CEOP) containing lots of valuable information and advice, designed especially for parents and carers around keeping their children safe on-line. What is my child doing on-line? How do I talk to my child about what they are doing on-line? What tools are there to keep my child safe? Most experts believe that being able to have trusting and open conversations with children about their on-line activities is the best way to find out what they like to do on-line and help them understand how they can keep themselves safe.